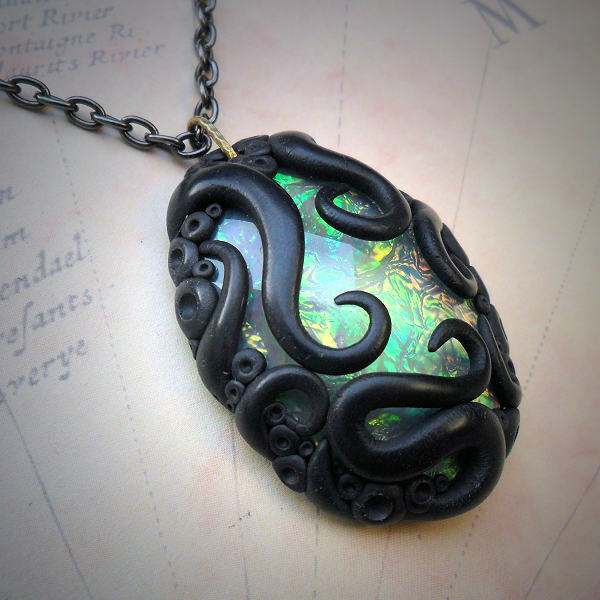 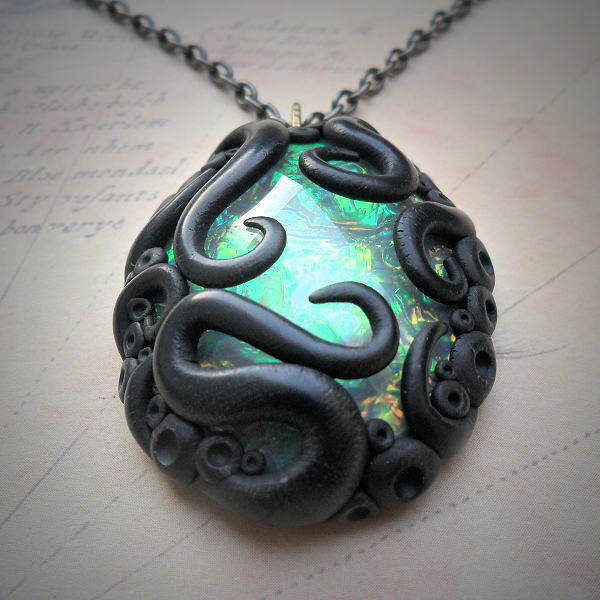 This is a hand crafted black tentacle design, sculpted onto a faceted piece of sparkling and iridescent acrylic. 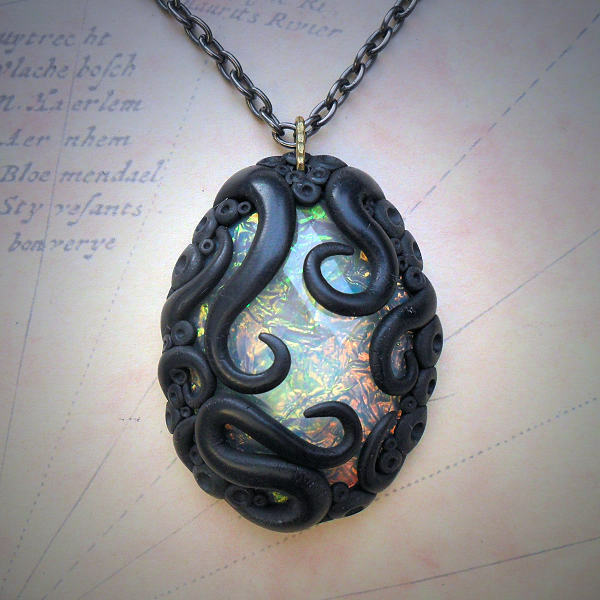 The pendant is hung on black waxed cord with slipknots for length adjustment. 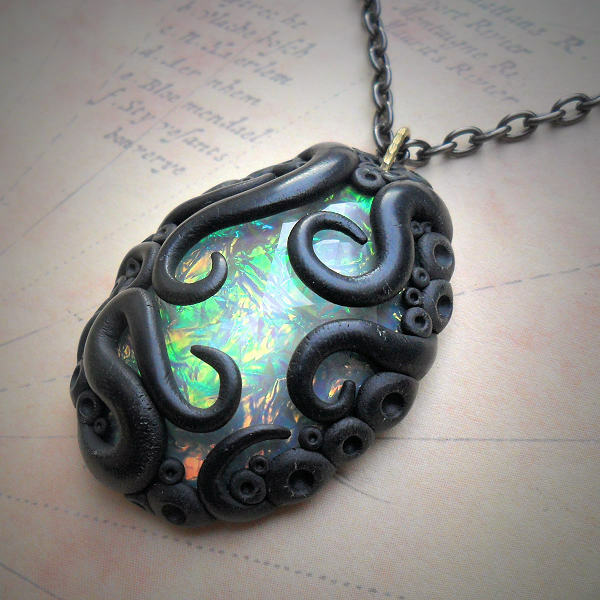 Please note: There will be small differences from the photographs shown, as each necklace is individually hand made.